Spy Hunter is only on its second week but the show seems poised to break 1% soon with recent ratings at 0.995%. It also made it into the top 10 online dramas in fourth place. I personally love the genre, and find the story reminiscent of Disguiser for obvious reasons (same author). 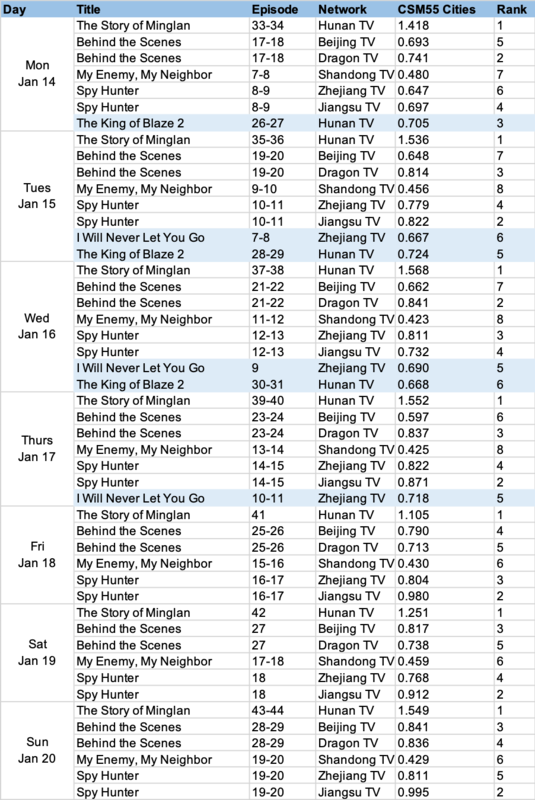 Staying on course in first, The Story of Minglan pushes new highs to reach 1.5% this week while rankings for the rest of the dramas on TV seem to be keep to the same pace. Behind the Scenes has improved by gradual increments throughout its run and manages to break past 0.8% in ratings. Meanwhile, the 10pm shows have been averaging at 0.6% though I Will Never Let You Go has done considerably well online. It currently ranks second and both Ariel Lin and Vin Zhang can be seen among the top 10 weekly celebs. 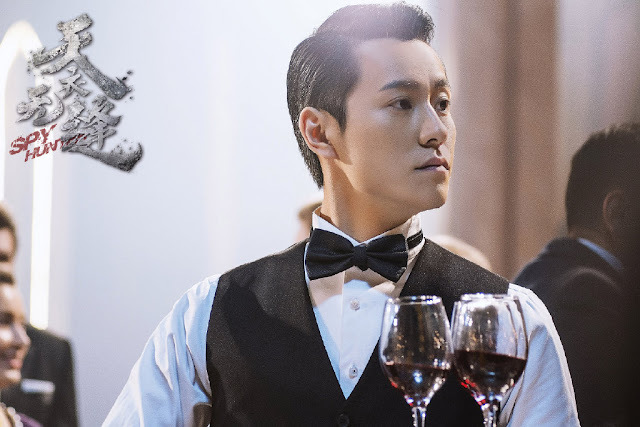 The three leads of Minglan are also in the top 3 along with supporting actress Zhang Jianing in 8th place. Apart from Yang ZI, Deng Lun, Wang Kai and Yang Mi, everyone on the list has a drama airing at the moment.